The totally fixed bridge prosthesis is a totally revolutionary concept to most patients. However it is based upon the initial work by a Swedish orthopedic surgeon and researcher P. I. Branemark used on actual patients in the 1970’s. Dr. Branemark has long term documented success on human patients with the totally fixed implant prosthesis which dates back to this time. Drs. Blecha and Jandali has for many years closely followed the treatment concepts taught to him by Dr. Branemark and utilizes the same type of implants developed through the company that helped develop his implants called NobelBiocare. When teeth are lost the soft tissues and bone shrinks. The fixed prosthesis replaces the lost soft tissues, bone, and teeth. The prosthesis is totally fixed and does not move. It is only removable by your restorative dentist. Patients can eat the same foods as they formerly did with their natural teeth. Patients with a fixed prosthesis have the responsibility to take care of their new prosthesis. In Drs. Blecha and Jandali’s experience patients value the result so much that they value the treatment result and are motivated to take care of it. What do patients need to do to take care of the prosthesis? They basically brush the teeth and clean about the prosthesis to maintain a state of health about the implants. They also need to be committed to see their restorative dentist on a regular basis for professional cleaning and care about the prosthesis as the dentist indicates. Long-term research demonstrates the long-term success about the prosthesis and the implants if these measures are followed. Should patients develop problems with the prosthesis, most often the prosthesis can be repaired without remaking the prosthesis. 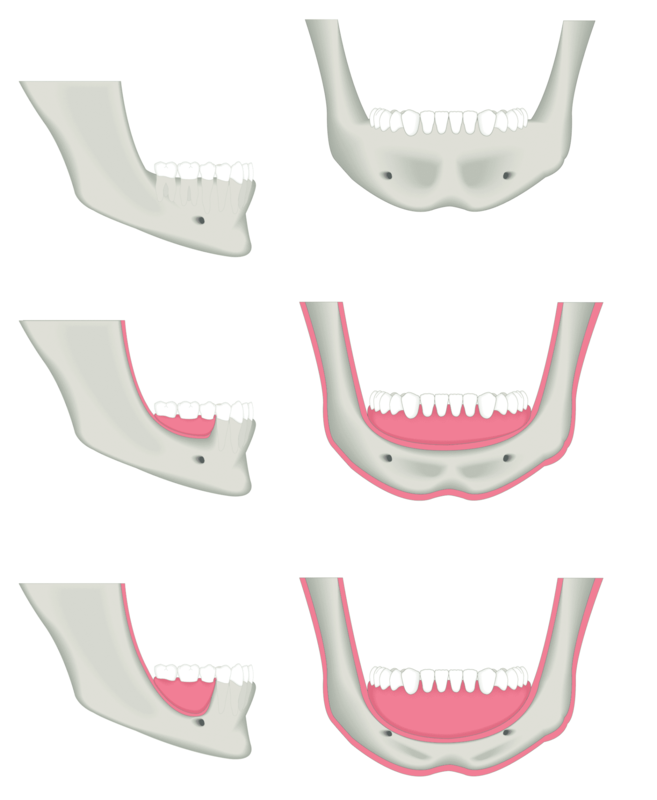 Thus the fixed bridge prosthesis is a long-term solution for the patient who cannot tolerate a denture or for the patient whose remaining teeth are failing. 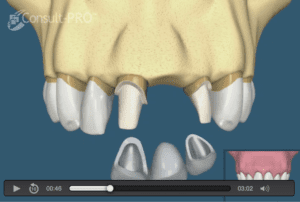 The fixed bridge prosthesis is the best solution with patients that have moderate to severe bone resorption. Dexterity of the patient to clean about the prosthesis. Preference of the patient for fixed or removable teeth. Drs. Blecha and Jandali will work closely with your restorative dentist and you in helping you to select the final prosthesis design that will work best for you. We are all interested in the result that will give you the least problems.